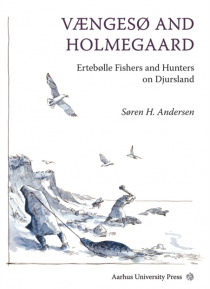 This volume presents the collated results of a number of archaeological investigations undertaken on the Danish peninsula Djursland over a period of almost 40 years. It begins with the findings of the excavations carried out around the former marine lagoon of VAengeso in the northeastern part of the HelgenAes peninsula. Then follows an overview of an excavation undertaken at the site of Holmegaard… , located on the former Stubbe Fjord complex. One of the sites (VAengeso I) has been published previously in 1975, but the interpretation of this locality has been revised in the light of research and the results of other investigations undertaken over the intervening four decades.